Definition: The Price Elasticity of Demand is commonly known as the elasticity of demand, which refers to the degree of responsiveness of demand to the change in the price of the commodity. Perfectly Elastic Demand (Ep = ∞): The demand is said to be perfectly elastic when a slight change in the price of a commodity causes a major change in its quantity demanded. Such as, even a small rise in the price of a commodity can result into fall in demand even to zero. Whereas a little fall in the price can result in the increase in demand to infinity. 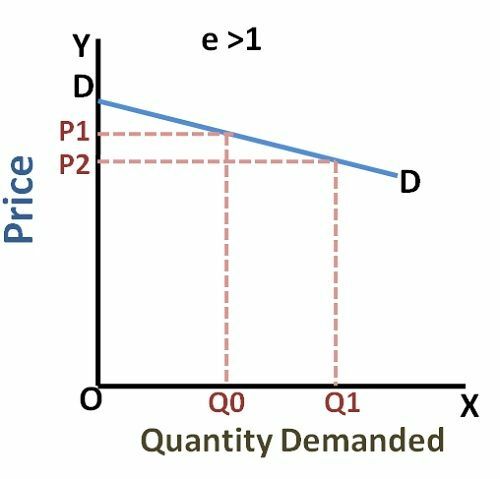 In perfectly elastic demand the demand curve is a straight horizontal line which shows, the flatter the demand curve the higher is the elasticity of demand. 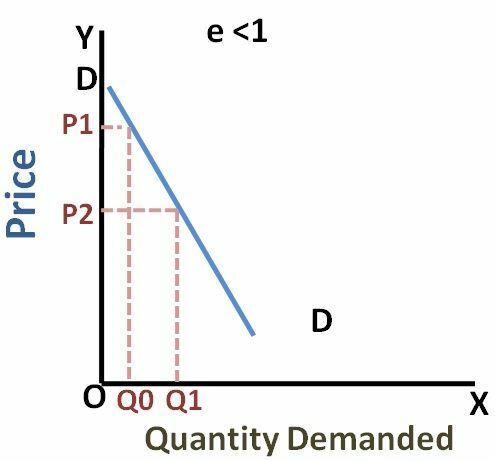 Perfectly Inelastic Demand (Ep =0): When there is no change in the demand for a product due to the change in the price, then the demand is said to be perfectly inelastic. 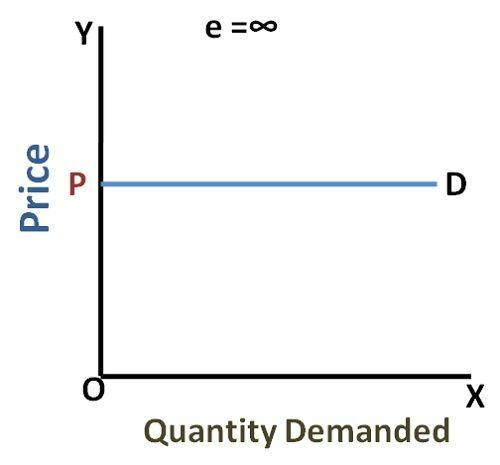 Here, the demand curve is a straight vertical line which shows that the demand remains unchanged irrespective of change in the price., i.e. quantity OQ remains unchanged at different prices, P1, P2, and P3. Relatively Elastic Demand (1 to ∞): The demand is relatively elastic when the proportionate change in the demand for a commodity is greater than the proportionate change in its price. 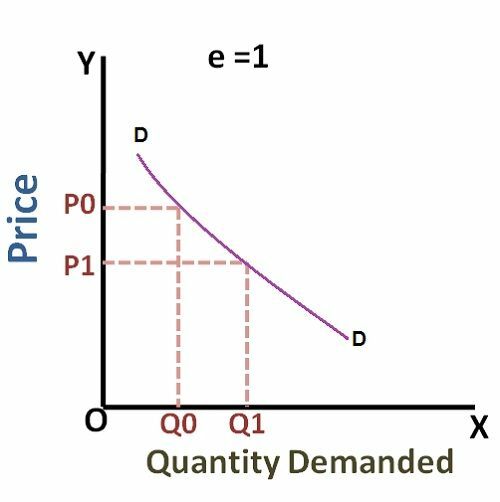 Here, the demand curve is gradually sloping which shows that a proportionate change in quantity from OQ0 to OQ1 is greater than the proportionate change in the price from OP1 to Op2. Relatively Inelastic Demand (0-1): When the proportionate change in the demand for a product is less than the proportionate change in the price, the demand is said to be relatively inelastic demand. It is also called as the elasticity less than unity, i.e. 1. 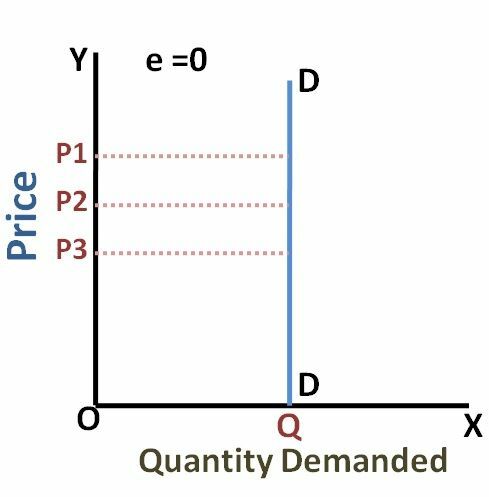 Here the demand curve is rapidly sloping, which shows that the change in the quantity from OQ0 to OQ1 is relatively smaller than the change in the price from OP1 to Op2. 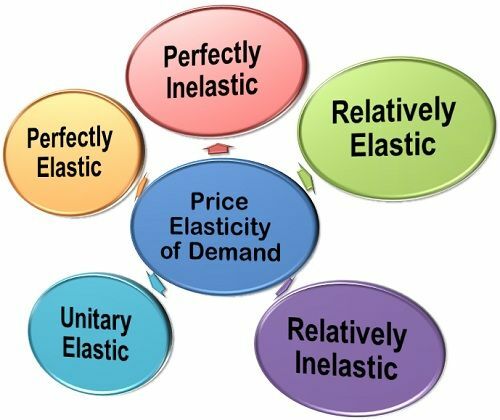 Unitary Elastic Demand (Ep =1): The demand is unitary elastic when the proportionate change in the price of a product results in the same change in the quantity demanded. Here the shape of the demand curve is a rectangular hyperbola, which shows that area under the curve is equal to one. Thus, these are some of the types of the price elasticity of demand that helps the firms to price their product in accordance with the demand patterns of an individual which changes with the change in the price of the commodity.